Many things have changed in the tourism industry in Africa and in the Okavango Delta it is no different with operators having to keep up with fast-developing trends. 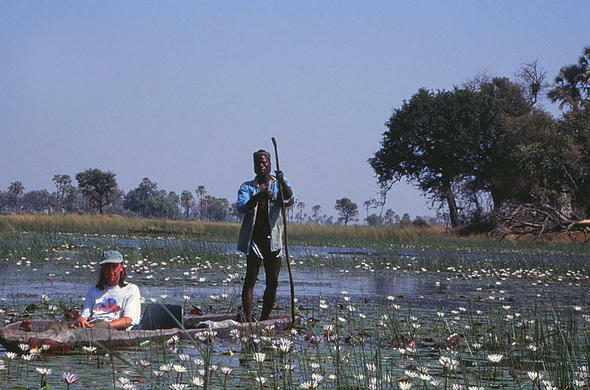 Aside from the lodges becoming more luxurious one of the major changes to have occurred is the move to eco-friendly Makoros, one of the major forms of transport in the Okavango. The Makoro has been the major form of transport in the Okavango for centuries, and even with the growth of motorized transport in the Delta the Makoro has remained the chosen vehicle for many locals. The traditional Makoro is carved from the stem of the Sausage, Mangosteen or African Ebony trees, with the tree been chosen for its length and girth. The trees that are suitable are more often than not hundreds of years old and each one that is chopped down takes centuries with it. The tree trunk is then burned, after which the burnt parts are chopped away and the craft is hollowed out. In the past this was not an issue as there were far more trees than the amount of makoros needed but with the fast growth of tourism in the Okavango there was a danger that the environment would be devastated. Because of this a fibre-glass craft was designed and produced. All safari operators now use these fibre-glass makoros, and their popularity has even spread to the locals of the Okavango who find them more stable and longer lasting than the wooden ones. Navigating the channels and floodplains of the Delta can be a nightmarish task but the guides, known as polers, have grown up with the Makoro and are experts at the task. The poler stands in the back of the Makoro and steers with a long pole known as a Ngashe which is made from the Terminalia Tree. 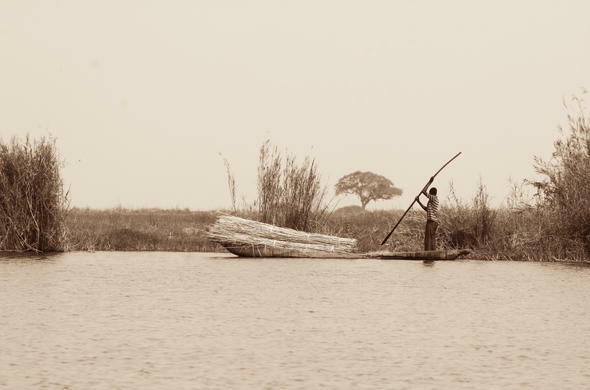 Today the Makoro is still widely used by the fishermen of the Delta and it has become one of the most memorable safari activities, allowing for an intimate look at the workings of this unique wetland.